The Le Elegance Bifold Door adds sophistication and privacy at the same time. 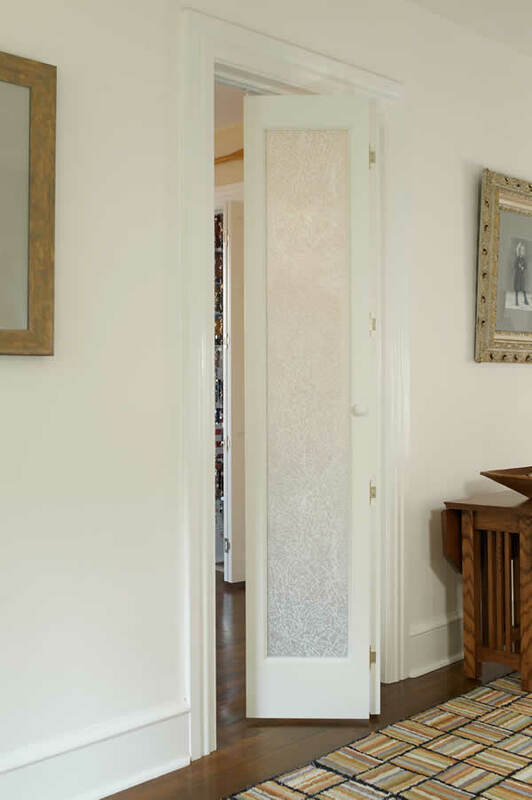 The frosted glass features a subtle fern leaf design. 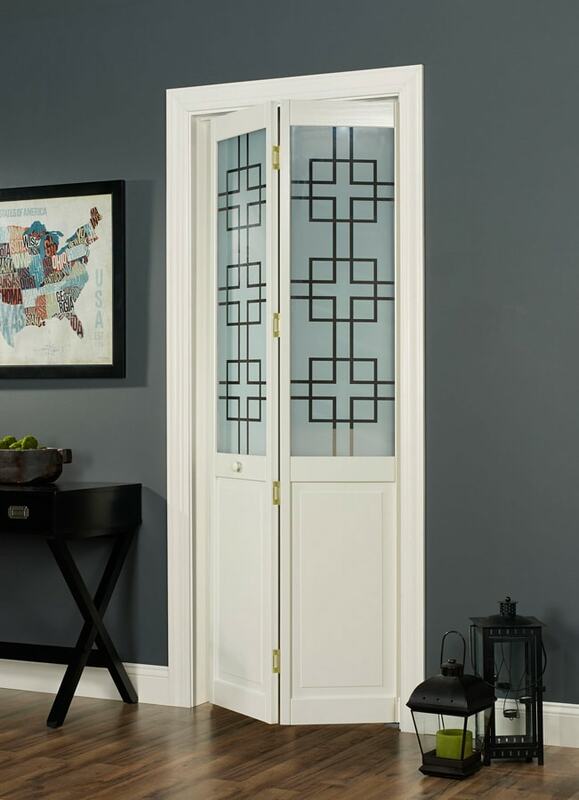 Pinecroft decorative bifold doors are designed for easy installation and come with hardware and detailed instructions. Glass piece is filmed plastic for ease in finishing. 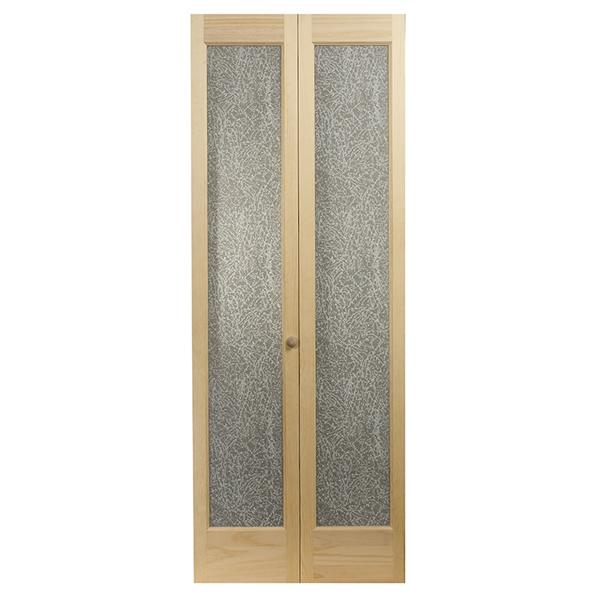 Bifold doors are made of 1-3/8 inch clear stiles and rails – no finger joints and tempered safety glass. 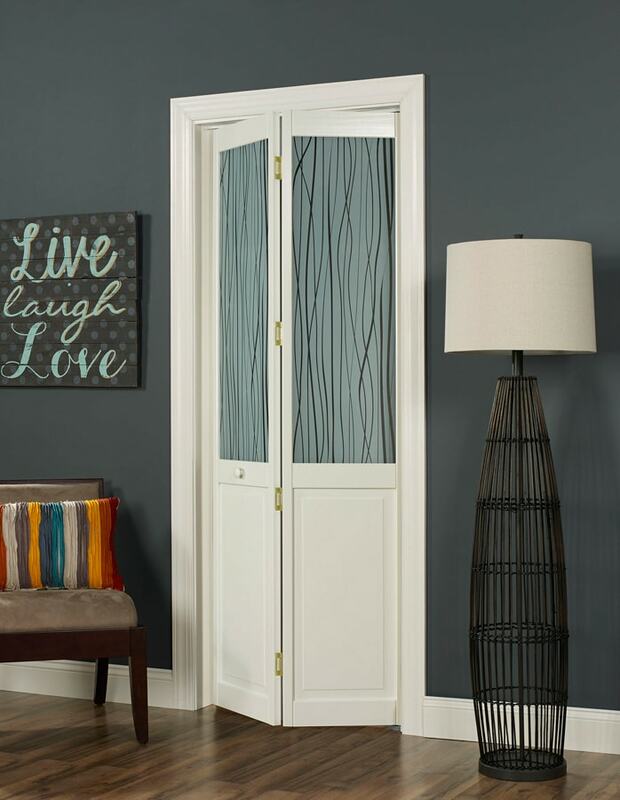 The Le Elegance Bifold Door comes in unfinished wood or pre-finished white and is ready for installation. Custom Sizes Available. Please contact us directly for a custom quote and lead time.